So there’s this show on MTV back in the USA called CatFish. It’s based on the documentary of the same name that came out in 2010 about Nev who (basically) meets this girl online, falls smitten but begins to believe things aren’t what they seem. He goes on a road trip to meet her and it gets weirder from there. I won’t ruin the ending for you, but it’s pretty interesting. MTV’s CatFish (hosted by Nev) is basically the same thing only with people who write into Nev asking him for his help. It’s a crazy train wreck of a show and it’s our new guilty pleasure over here. As I’m sure you can guess, most of the time people aren’t who they say they are and they end up using fake photos that are really other people… it’s beyond bizarre. Anyway, one of the things Nev does in the show is check some of the images from the person’s Facebook or Myspace profile on Google Image Search to see if they’re posted somewhere else online. All you do is upload your image, hit search, and Google will not only tell you where it’s posted. Yeah. Do I really need to elaborate on JUST how FREAKINGLY AWESOMELY HILARIOUS THIS REALLY IS???? The end. But not really because we’re running out of CatFish and moving on to Dance Moms. I’ve had quite a few search engine hits today on this post with people searching for how to utilise the Google Image search function above. It’s totally easy but Google don’t make it obvious unfortunately. If you look at the photo above, you’ll see where I’ve searched for my photo along with the .jpg file name in the Google Image search bar. See the little camera icon next to that? Click it. It’ll prompt you to either provide the link for a photo hosted online OR allow you to upload a photo. I’m a catfish fan! After reading your blog post i wanted to try this. Im in the UK but when i go to google and image search there is no camera icon you described… any ideas why and how to get the icon? Hi Sara, thanks for dropping by! I’m in the UK as well, so it definitely works here. 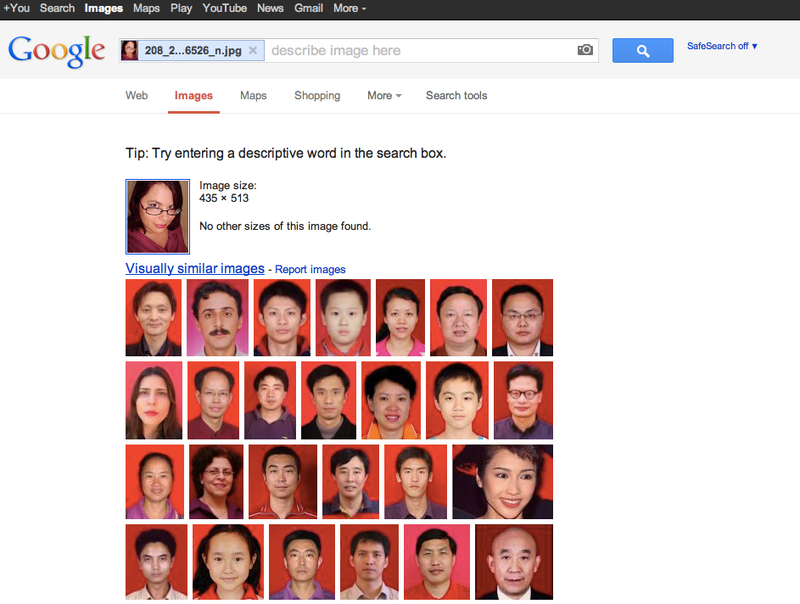 Best thing to do without boring you too much is to link you through to the Google Image Search help page. It gives you step by step instructions in basic language so it’s not too techy!